In case you run a fleet of trucks then you are not new to the fact that every day your drivers could potentially face a huge number of challenges to get the goods through. This can be as a result of badly calculated routes or weather conditions among others. 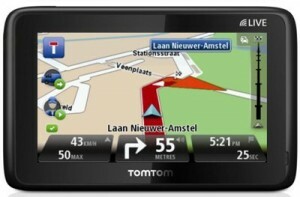 With the TomTom Truck however, smarter navigation is possible since you will be able to plan better routes for your drivers. This sat nav has a number of features to help make navigation as easy as possible. The user interface can be easily scrolled through thanks to the Fluid Touch screen that comes with the device. There is a Text-to-speech technology that provides drivers with spoken information, such as traffic updates, directions, traffic updates, in addition to reading out messages, this way, their focus can be retained on the road ahead. In case of an emergency, there is a “Help Me” feature that with a touch of the button will provide you with local emergency services from roadside assistance to hospitals. Fixed camera warnings are made possible thanks to the TomTom Speed Cameras, this way, you get to save on fines while at the same time keeping the drivers safe on the road. In the event that calls need to be made, the Hands-free calling capability of this sat nav further ensures that the driver’s eyes are kept on the road while their hands are kept to the wheels of the truck. With the TomTom WORK feature on the other hand, you will be able to plan better routes for your drivers thanks to is smarter navigation capabilities. 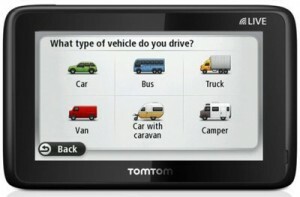 It Include the TomTom Map Share technology which enables drivers to make instantaneous updates to their maps and to share the same the online TomTom community. 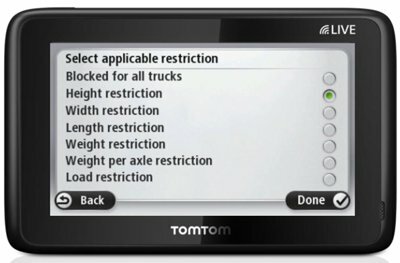 The sat nav also incorporates a Map Share functionality that enables truck drivers correct their maps by adding or changing access restrictions for roads based on weight and dimension. Thanks to this sat nav, you will be able to avoid unnecessary delays, hence arrive on time and seamless find routes hence eliminating the stress of looking out for them as you drive. In addition to useful features to help in routing to your destination, there are safety features also incorporated in the unit to ensure a safe travel. Some of the safety features include warnings of restrictions and dead ends, steering clear of areas that may make for hazardous maneuvering of the vehicle, navigate through difficult junctions thanks to the Advanced Lane Guidance Feature and receive spoken instructions from the device hence minimizing distraction from the road ahead thanks to the Text-to-Speech feature. The sat nav comes preloaded with maps of the UK and Europe, 45 countries in total which maps enable you navigate through a number of European destinations by a simple tap of the screen! You are also able to calculate the smartest route while at the same time avoiding sharp turns for the case of large vehicles. When the weight and dimensions of the vehicle are entered in the personal truck profile, access route restrictions will also be put into consideration.